On May 5, 1961, NASA astronaut Alan Shepard piloted his Freedom 7 Mercury capsule in a 15-minute suborbital flight, becoming America’s first astronaut. 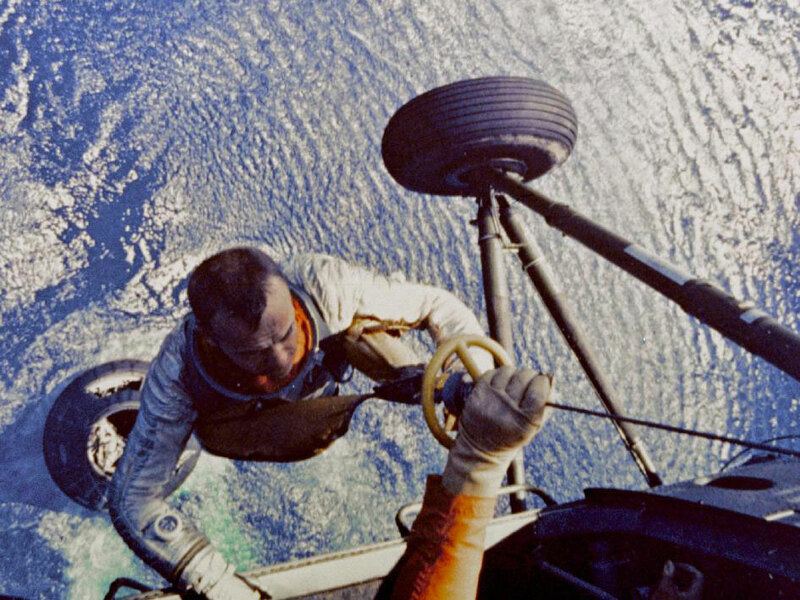 In this image, he being hoisted aboard a U.S. Marine helicopter after splashdown. The flight carried him to an altitude of 116 miles.